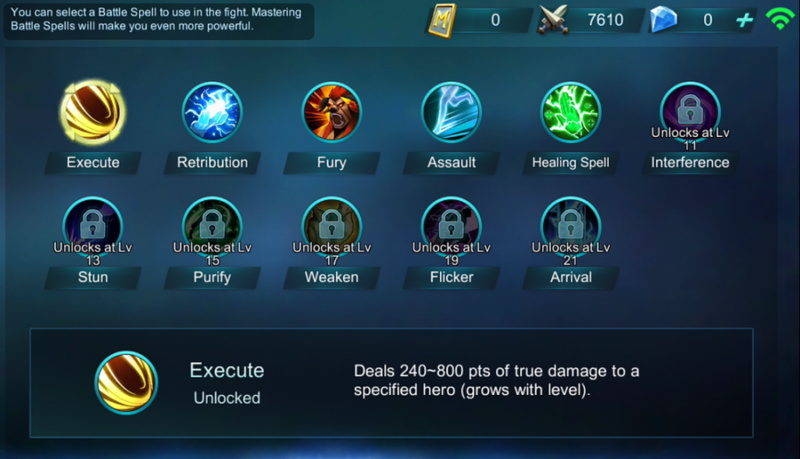 Welcome to the MLBB battle spell guide! Below are a list of battle spells you can choose for your character. Depending on who you are using, you should choose battle spells that complement your character. Let’s go over some of the basics! Execute – Great for front line fighters that need the last bit of damage to kill running foes. Is also a viable spell for burst damage mages. Retribution – Great for jungling. Fury – A double edged sword for your character. Use this at your own risk. Assault – Great for tanks and fighters to gap close to ranged characters. Also useful for ranged characters to run away from fast mofos like Yun Zhao. Healing Spell – Great for marksman for that extra heal. Interference – Great when tower seiging. Melee attackers could make good use of this. Stun – Viable CC for tanks and fighters! Purify – Bring this if you see the enemy team has a lot of crowd control. 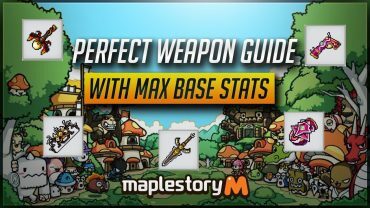 [MapleStory M] Perfect ‘Max Base Stat’ Weapon Guide!